I used to play, and beat, this game as a kid at a local nickel arcade. 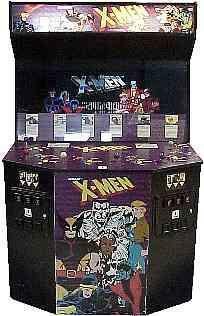 This “nickel arcade” used a single nickel per-play (with a couple bucks entry fee), allowing me to fully enjoy many games such as the X-men arcade game, Sunset Riders, The Simpsons arcade game, the TMNTs, and Captain America and the Avengers (where my Iron Man appreciation began). The X-men Legends titles, and later Marvel Ultimate Alliance, helped my nostalgia; and now I’ll get to re-experience the original title. Dibs on Nightcrawler or Wolverine. I’ll even play Colossus in a pinch.